»» Adele is the first female in the history of the Billboard Hot 100 to have three singles in the top 10 at the same time as a lead artist, and the first female artist to have two albums in the top five of the Billboard 200 and two singles in the top five of the Billboard Hot 100 simultaneously. 21 is the longest running number one album by a female solo artist on the UK and US Albums Chart. In 2011, Billboard named Adele artist of the year. In 2012, Adele was listed at number five on VH1′s 100 Greatest Women In Music, and the American magazine Time named Adele one of the most influential people in the world. »» Adele says that one of the most defining moments in her life was when she watched Pink perform at Brixton Academy. "It was the Missundaztood record, so I was about 13 or 14. I had never heard, being in the room, someone sing like that live ... I remember sort of feeling like I was in a wind tunnel, her voice just hitting me. It was incredible." Adele graduated from the BRIT School for Performing Arts & Technology in Croydon in May 2006, where she was a classmate of Leona Lewis and Jessie J. Adele credits the school with nurturing her talent even though at the time she was more interested in going into A&R and hoped to launch other people's careers. »» When the U.K. press began dubbing Adele "the next Amy Winehouse" in late 2007, the hype didn't touch upon the heavy singer/songwriter influence found in the Londoner's music. 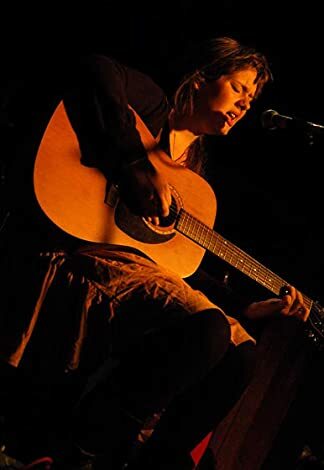 Influenced by Suzanne Vega as much as Jill Scott, Adele first made an impression in 2006 when she toured as an opening act for Jack Penate. She had graduated to headlining status by the end of 2007, thanks to BBC Radio 1 playing her single "Daydreamer"; another song, "Hometown Glory," was also released as a single on Jamie T.'s label, Pacemaker. An appearance alongside Paul McCartney and Björk on the BBC 2 television show Later with Jools Holland came next, and a recording contract with XL Recordings was finalized soon after. Early 2008 brought similar luck as Adele found herself atop the BBC's new music talent list, which was compiled from the votes of 150 music critics. That same January, XL issued a new single, "Chasing Pavements," along with her debut album, 19. The title reflected Adele's age at the time of the album's release, and its popularity resulted in the release of several bonus editions throughout the year. Also in 2009, Adele won Grammy Awards for Best New Artist and Best Female Pop Vocal Performance. Her sophomore album, 21, featuring the gospel and disco-infused single "Rolling in the Deep," was released in February of 2011. The album proved to be both a critical and commercial success, becoming one of the longest-running number one albums in history and spending over 18 weeks at the top spot. The glow of 21's success was dimmed somewhat when Adele was forced to cancel her tour after suffering a hemorrhage on her vocal chords. She underwent surgery for the hemorrhage in November of 2011. That same month, she released the concert CD/DVD Live at the Royal Albert Hall. Both Adele and 21 received many end-of-year honors, and in February 2012, as album sales began to creep closer to ten million copies, she won six major Grammy awards, one of the few artists in history to accomplish the feat in one night. In October 2012 Adele announced that she had recorded the theme to the 23rd Bond film, Skyfall. Produced by Paul Epworth and recorded at the prestigious Abbey Road Studios, the single entered the top 10 of both the UK singles chart and the Billboard Hot 100 on release. • "Set Fire to the Rain" is a song by British singer-songwriter Adele from her second studio album 21. Written by Adele and Fraser T Smith and produced by Smith, the power ballad was released as the second single from the album in Europe. It was released as the third single in the United Kingdom on 4 July 2011, where the song has peaked at number 11. The song has peaked at number one in Belgium, Poland, the Netherlands, the Czech Republic, Slovakia, and the United States. The song has charted within the top 10 of Austria, Canada, Denmark, Finland, France, Germany, Ireland, Italy, New Zealand, Norway, South Africa and Switzerland. • "Set Fire to the Rain" was released on 21 November 2011 as 21's third official single in the United States, and has since peaked at number one on the Billboard Hot 100. • The song is the third consecutive number-one single of the same album; the last female singer who achieved this was Katy Perry in 2010 when "Firework" hit number one. Adele is the first female British artist in history to have three consecutive US number ones. With "Rolling in the Deep", "Someone Like You" and "Set Fire to the Rain" Adele logged a total of 14 weeks atop of the Hot 100, this is the most number of weeks at number one a British female artist has had from the same album.